Other Sinclair-forced segments have included commentary from former Trump advisers Boris Epshteyn and Sebastian Gorka, who recently warned Sinclair’s audiences that the deep state” was trying to undermine the president. The company also put its thumb on the scale for Trump during the 2016 presidential campaign, and periodically tries to keep Americans anxious about more than just bad weather with its Terrorism Alert Desk segments, which round up worldwide terror attacks. 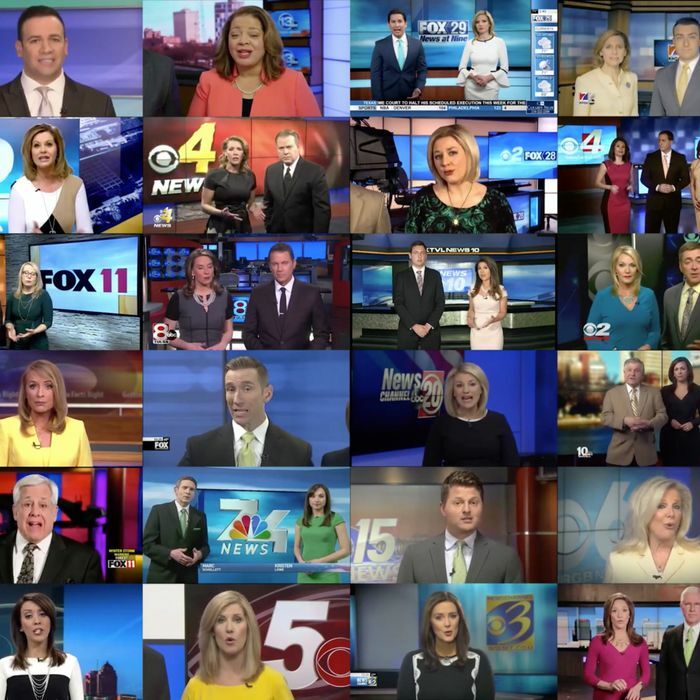 Sinclair already owns or operates 193 stations across more than 100 U.S. television markets, and will likely own more than 230 in the near future if its proposed merger with Tribune Media goes through — which it surely will under this administration. From a business perspective, the “fake stories” edict was probably meant to discredit Sinclair’s shrinking number of competitors at least as much as it was to back Trump’s view of the mainstream media. The good news is that a recent academic study indicated that Sinclair’s propaganda turns off viewers. The bad news is that the same analysis concluded that the right-wing bent may not actually cost the company any of its profits, so don’t expect a market correction on this kind of behavior anytime soon. This post was updated to reference the KOMO anchor’s tweet and include the Reliable Sources segment.